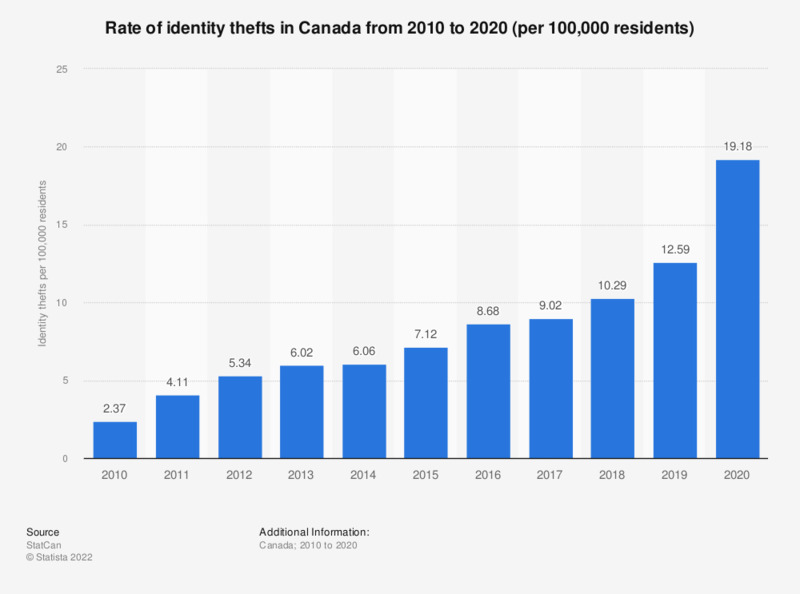 This statistic shows the rate of identity thefts in Canada from 2010 to 2017. In 2017, there were 8.9 incidents of identity theft per 100,000 residents in Canada. How concerned are you about being a victim of online identity theft? How concerned are you about experiencing or being a victim of online identity theft?